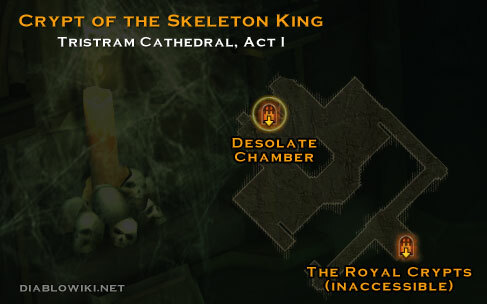 The Crypt of the Skeleton King is underneath The Royal Crypts. It is the stage for the first major boss battle with the infames Skeleton King. Once entered it can not be left until the player or the king is dead. It is the same configuration each time, there are no random elements to it. This page was last edited on 8 January 2013, at 19:34.